What's on Netflix > Netflix News > Riverdale Season 3 Episode 18: When will it be on Netflix? 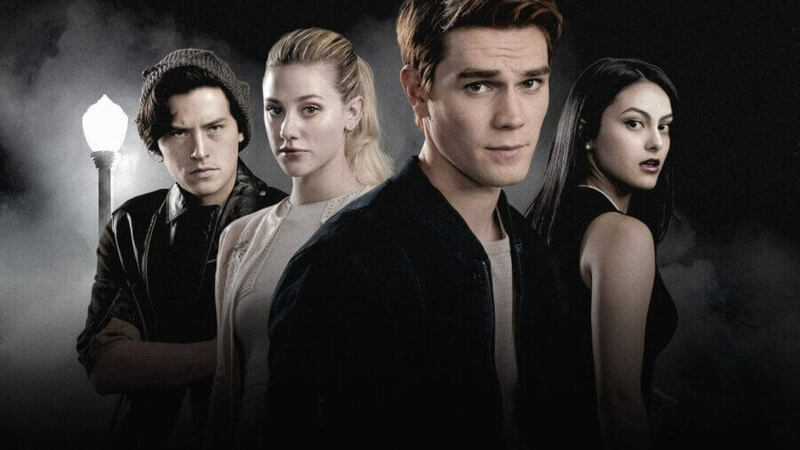 Riverdale Season 3 Episode 18: When will it be on Netflix? Fans that have been wondering where the 18th episode of Riverdale is, are right to be confused. The last episode to arrive on Netflix was on the 29th of March! Worry not, the next episode will arrive soon, you just have to wait out another seasonal break for the teen drama. Riverdale has solidified its place as one of the most popular teen dramas to date, especially on Netflix. The CW series is almost at the end of its third season, but worry not, the show will be returning for a fourth season later this year. Outside of the United States and Canada, subscribers have been able to enjoy Riverdale on a near weekly basis since the release of the first season. Like other CW titles, Riverdale is subject to extended breaks throughout filming. Other weekly titles on Netflix that follow this format are The Good Place, Star Trek Discovery and Dynasty. When will Season 3, Episode 18 of Riverdale be streaming on Netflix? At the time of writing, you’ll only need to wait one more week before the arrival of the next episode. The 18th episode of Season 3 will air on The CW on the 18th of April before coming to Netflix. Regions that stream Riverdale will receive the 18th episode 24 hours after airing on The CW, therefore, subscribers will able to stream the episode on Friday the 19th of April. You will have to set your own reminder as Netflix is yet to set up alerts for new weekly episodes. What time will I able to stream Riverdale Season 3, Episode 18? Depending on where you are in the world will dictate what time you can stream the next episode of Riverdale. How many episodes are left of Riverdale Season 3? There are a total of 22 episodes to stream this season, so if you include episode 18 in that list then there are still 5 more episodes to go. When will Season 3 of Riverdale arrive on Netflix US and Canada? Riverdale will eventually arrive on Netflix US and Canada soon after the finale has finished. As the finale is expected to air in May we can expect season 3 to arrive in early June of 2019. Are you looking forward to the next episode of Riverdale? Let us know in the comments below!